Thousands of people have decided to switch to a young, promising currency of Bitcoin Cash, which arguably is much faster and easier to use than its other counterparts. One of the main goals at RSGoldMine is to provide as much payment methods possible for our customers, and that’s why we’ve decided to let you Buy Runescape Gold with Bitcoin Cash. That’s right – at checkout, you’ll now be able to select Bitcoin Cash, and proceed to Buy RS Gold with Bitcoin Cash. Today we’ll be walking you through the steps on how you can set up a Bitcoin Cash account, start purchasing Bitcoin Cash, and in the end – get OSRS Gold for Bitcoin Cash. Before we get into the fun parts – we’ve got to set up an account able to collect Bitcoin Cash first. Now, just a quick Google search, and you’ll be met with a plethora of sites and agencies which provide a platform to purchase Bitcoin Cash. But we’ve done the hard work for you, and have found a reliable, easy-to-use platform to buy Bitcoin Cash – www.coinbase.com/buy-bitcoincash . Head over to that website, and you’ll be met with a list of instructions. In case you can’t find it, we’ll show you how. The first step, is to signup for a coinbase account. This can be done at www.coinbase.com/signup (Quick tip – download the Coinbase app on your phone for even more accessibility!). Next, you’re going to have to connect your bank account, credit or debit card. You’ll be able to do that by following this link: www.coinbase.com/payment_methods . Almost over! Now – its time to buy Bitcoin Cash (for when you Buy OSRS Gold with Bitcoin Cash). To do that, go over to www.coinbase.com/buy and complete the transaction. Alright – the hard work is over, and you’re so close to your gold! 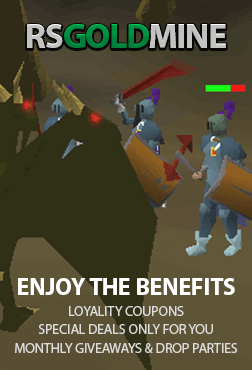 Jump over to our webpage for OSRS Gold at www.rsgoldmine.com/buy-runescape-gold . Now that you’re here, you’ll be shown our special easy-to-use interface. All you need to do is select the amount of gold you desire, as well as your Runescape Username (the account which you want to receive the gold on), and after you hit the ‘Buy Now’ button, you’ll be zoomed over to checkout – hooray! Now that you’ve been redirected to the checkout page, you’ll be shown all our payment options, and from there – find and select Bitcoin Cash. Once you’ve doubled checked your order details, and entered any promotional codes you have, hit the ‘Checkout’ button found in the bottom right. Proceed to do any extra confirmation if needed – and it’s time for the fun part, where you can get your OSRS Runescape for Bitcoin Cash! To get your OSRS RS for Bitcoin Cash, look at the bottom right hand corner of our webpage, and you can see a little icon of our live chat, click it to open our live chat widget. In no time, you’ll be connected to a live chat agent who has your gold on standby. From there, our agent will organize the world and place to meet up with you, and you’ll get your gold, as simple as that! And that’s how you Buy OSRS Gold with Bitcoin Cash. Got anything else on your mind? That’s what our Live Chat is for!